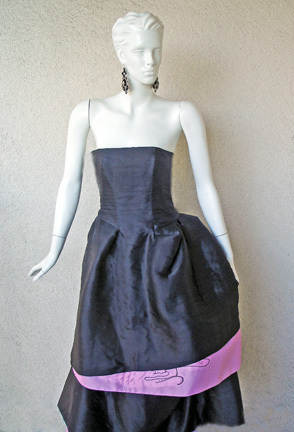 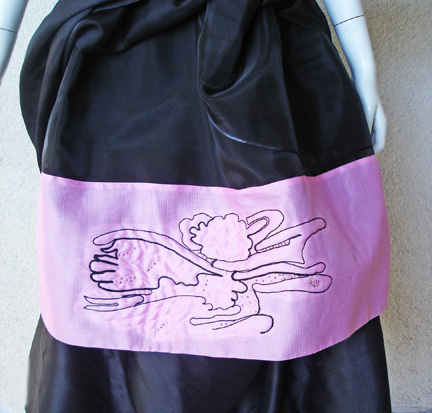 Circa late 90's-2000 Christian Lacroix black and petal pink strapless asymmetrical gown. 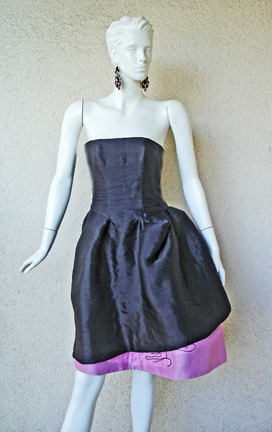 Features detachable double tier skirts which can be worn as a ballgown or a short party pouf. 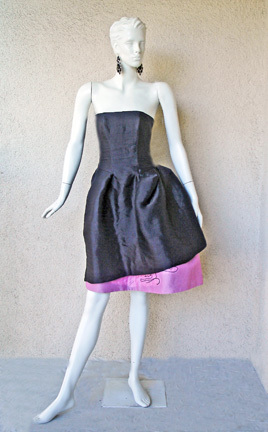 Two dresses for the price of one! 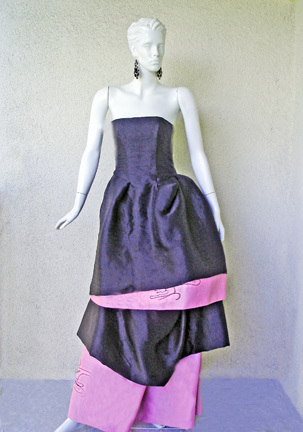 Fashioned of black silk gazar and organza with boned bodice. 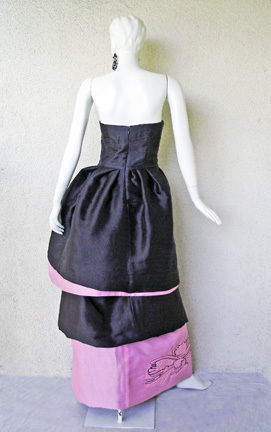 Bodice fabric is a dotted swiss pattern and the skirt has a pattern of narrow lines in contrast. 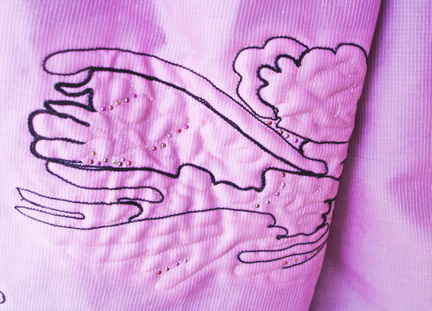 Floral quilted design on pink silk with handstitched trim and adorned with a light scattering of multi-colored crystals. 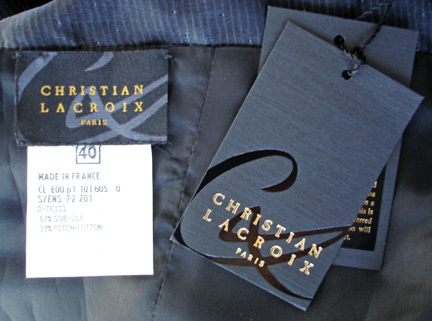 Asymmetrical waist to hip gathered and pulled to create the old world European "wench effect", a Lacroix signature.